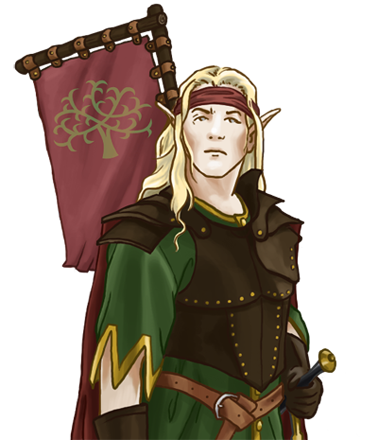 Elvish captains usually lead patrols and command garrisons that stand guard over the vast forests in elvish territory. Unlike leaders from other races, they are mostly proficient at navigating small skirmishes rather than large-scale battles, and are especially skilled at defensive maneuvering. Captains typically command small units that remain together for extended periods of time, allowing them to personally mentor and befriend their troops. They are often observed to lead through camaraderie and amicability, but still command great respect from their kin.